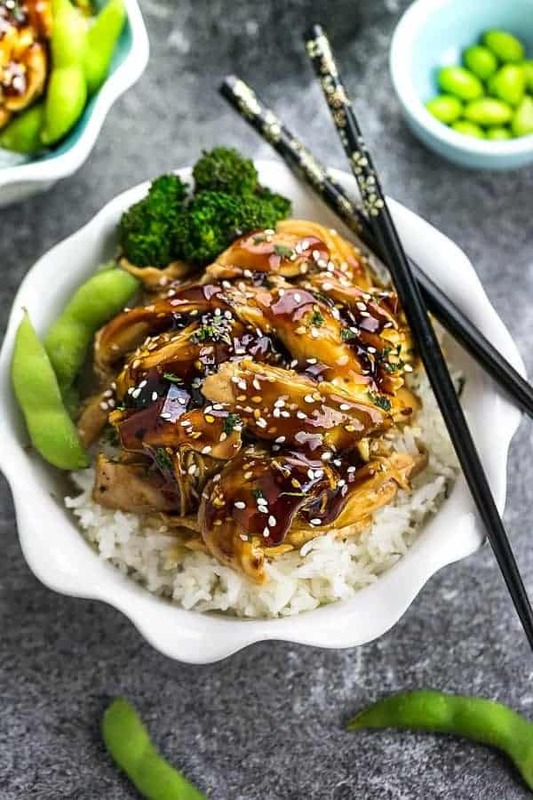 Slow Cooker Teriyaki Chicken – this recipe is the perfect set and forget meal with a delicious homemade teriyaki sauce. 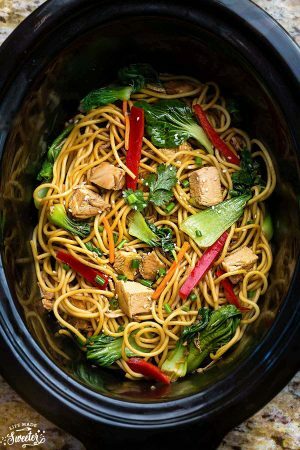 Best of all, just 10 minutes of prep made in a crock-pot or your Instant Pot pressure cooker. Plus step-by-step recipe video! Teriyaki Chicken was one of the very first dishes I had back in high school when I started experimenting with Japanese cuisine. I wasn’t brave enough to try sushi yet, so Teriyaki Chicken seemed like the safest bet. Fast forward to today and I am now crazy about sushi and you can see that anything with teriyaki sauce still show up regularly around here. 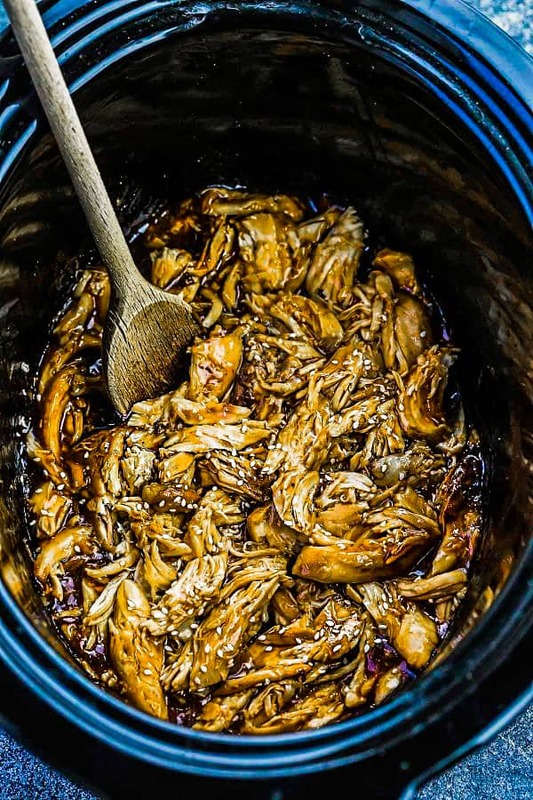 I decided to re-post this Slow Cooker Teriyaki Chicken with some updated photos and included instructions for the Instant Pot. 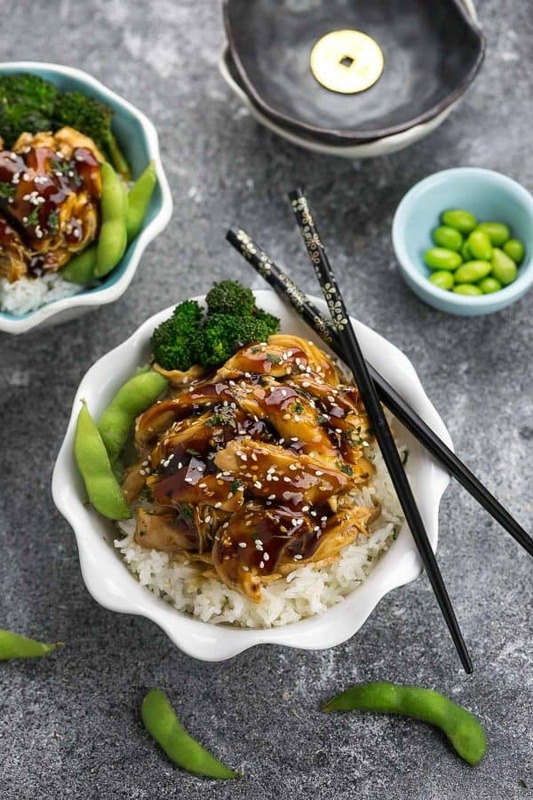 This recipe for Slow Cooker Teriyaki Chicken couldn’t be easier to make. It’s a simple set and forget meal with just 10 minutes of prep making it just perfect for busy weeknights. It starts off with a homemade teriyaki sauce consisting of soy sauce, rice wine vinegar, honey, Mirin, garlic and ginger. Mirin is pretty easy to find these days in the International section of most large grocery stores and online but you can definitely leave it out or use dry sherry or rice wine instead. Everything gets tossed into the slow cooker while the chicken soaks in all that amazing sweet and savory sauce. Once the chicken is nice and tender, just grab two forks and shred them into bite-sized pieces. You can serve this over your favorite rice, quinoa or noodles. Sprinkle with some sesame seeds and scallions and you’ve got a delicious meal that can easily rival your local take-out restaurant. 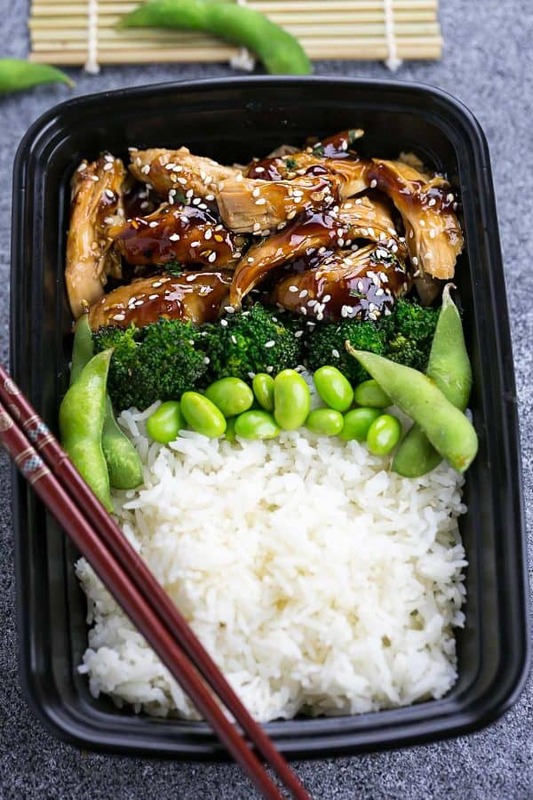 This Slow Cooker Teriyaki Chicken would also make great leftovers or if you prep this on your Sunday meal prep, you can have yummy work or school lunches for the rest of the week. 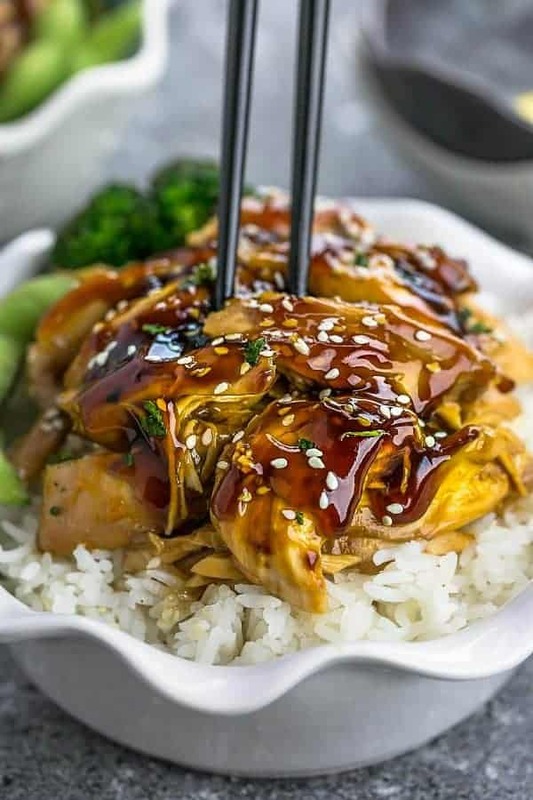 Slow Cooker Chicken Teriyaki makes the perfect easy set and forget crock-pot meal. Best of all, only 10 minutes of prep with a delicious homemade Teriyaki sauce. Skip the takeout! For Slow Cooker Method:Place the chicken in the bottom of your slow cooker. In a small bowl, combine soy sauce, honey, vinegar, mirin, sesame oil, garlic and ginger and pour over chicken. Cover and cook on LOW for 3-4 hours or HIGH for 2-3 hours. To thicken sauce, combine the corn starch with water and stir into the slow cooker. Cook on HIGH for another 30-40 minutes, or until sauce has bubbled and thickened up. Shred chicken into pieces with two forks and serve with any remaining sauce along with your favorite rice, quinoa or noodles. 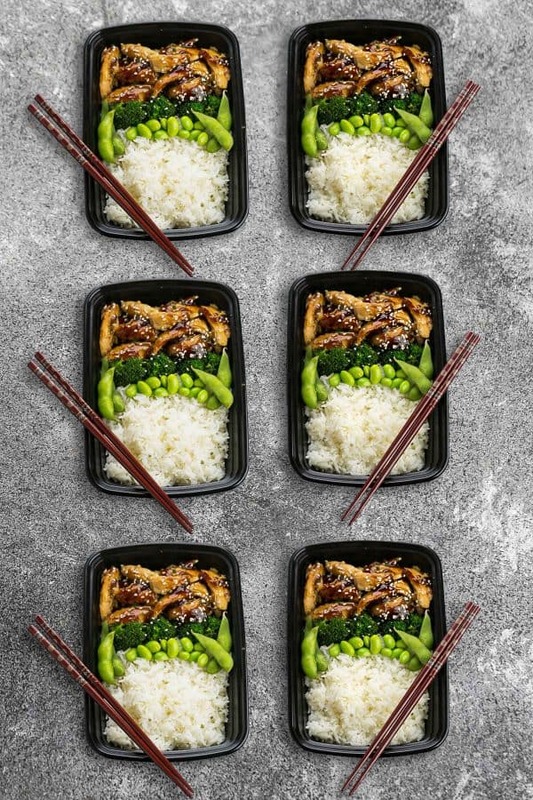 For lunch bowls, make rice and vegetables and divide evenly among lunch containers. Add chicken and drizzle on remaining sauce. Sprinkle with sesame seeds, if desired. In a small bowl, combine soy sauce, honey, vinegar, mirin, sesame oil, garlic and ginger and pour over chicken. Set on high for 5 minutes, let naturally release for 15 minutes. Turn Instant Pot to Saute. Combine the corn starch with water and stir into the Instant Pot. Allow the sauce to bubble and thicken up. Add the chicken back into the Instant Pot and combine with sauce. 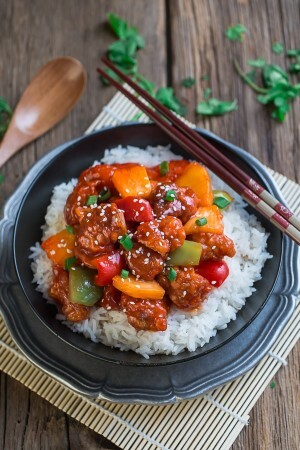 Serve with any remaining sauce along with your favorite rice, quinoa or noodles.